02/11/2015, 8:00 PM – Forecasting The Week Ahead. 04/11/2015, 8:00 PM – Follow up Analysis. We’re pleased to inform you that on October 19th, 20th, and 22nd 2015, our Company, in cooperation with TutoresFX online portal, held several free webinars telling about the most efficient trading strategies on the Forex market. "TutoresFX" is the largest educational resource in the Latin American countries and the most attended website among Spanish-speaking Internet users, which has more than 61,000 active subscribers and, on the average, 79,000 visitors every month. TutoresFX holds about 300 free webinars a year, where the financial industry professionals share their experience and knowledge how to invest money with the maximum possible efficiency. The participants of our webinars were offered the Company’s popular products, advantages of our trading conditions for the most liquid forex instruments, as well as Latin American and other currency pairs. More and more Spanish-speaking clients use different products from RoboForex, and this fact is inspiring our plans to open a Representative office in Barcelona, which will add a brand new level of trust and transparency to the cooperation between us and our clients and partners. We’re pleased to inform you that from 6th to 8th of November 2015, RoboForex (CY) Ltd will take part in one of the largest financial events in Asia, "Money Fair 2015" forum. This is another logical step of the Company’s extension in the Asia region and an effective way to introduce our trading opportunities and solutions to local traders. RoboForex Financial Group is a permanent participant of "Money Fair" exhibition – for the first time the RoboForex stand was introduced here in 2013. Improvements of affiliate programs: review of potential changes and prospects of developing multi-level affiliate IB networks in China. CopyFX investment system: how Traders and Investors should make their first steps. 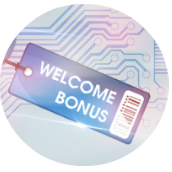 New Bonus programs: details of the Company’s offers and discussions whether they’re popular and essential for the region. WebTrader terminal, developed by the Company: the terminal’s opportunities and plans for development. More detailed information about the event can be found on its official website. "Money Fair" was first launched in 2003 and by now has become one of the largest annual ﬁnancial-investment events in Asia, which attracts attention of leaders and professionals of the industry from all over the world. In 2014, the forum hosted more than 300 companies and was attended by more than 170,000 visitors. 26/10/2015, 8:00 PM – Forecasting The Week Ahead. 28/10/2015, 8:00 PM – Follow up Analysis.